To improve the quality of the hostels and to help the incharges with a few practical tips, the Newman Educational Society (NES), the educational wing of the Diocese of Miao organized a two-day animation for the hostel incharges on 14 and 15 July at Kristu Jyothi Niwas, Tinsukia. Dr. Kalpana Sarathy, Dean, School of Social Work, Guwahati campus, was the resource person for the two-day animation. 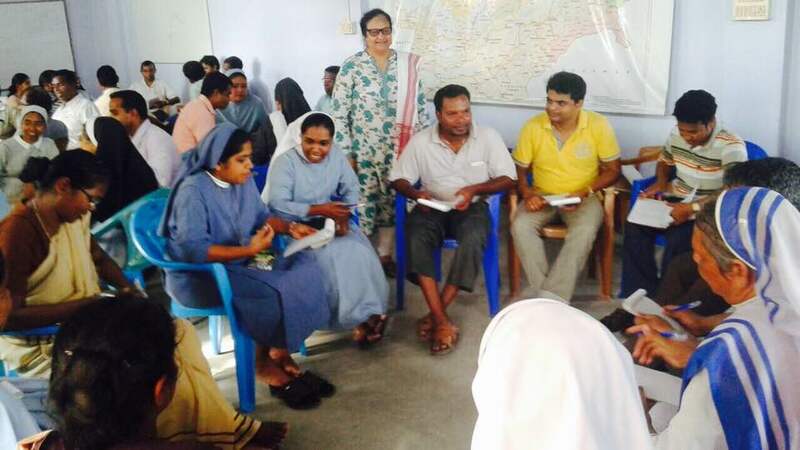 She divided the participants into small groups to discover the problem tree in the boardings, to go to the root cause and to discover its consequences in the hostels and guided them to take effective steps to address each issues to make the hostels in the Diocese better. “We must also have a periodic review of the hostel district-wise at least once in six months”, she suggested. A children grievance committee is also formed in each hostel to address the concerns of the students. “The idea of keeping a suggestion box is great as some children may not have the courage to speak to us directly”, said Fr. Binoy, from Changlang district.